Nithiin is looking to bounce back in Tollywood from a long time, and post 'A..Aa' the actor hasn't had a big success. Despite getting decent response, the film are ending up as cost failures, be it Lie or Chal Mohana Ranga. The actor has now become choosy about his forthcoming movies, and he has signed up for the Telugu remake rights of Tamil superhit 'Ratsasan' which is a crime thriller directed by Ram Kumar. 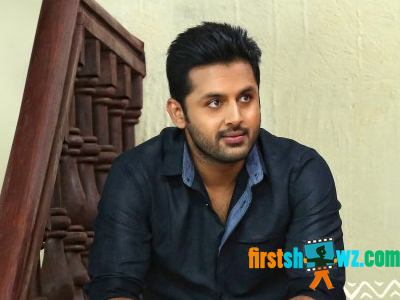 Nithiin has acquired the production house rights and he will play the lead. Now the director for the film has been confirmed as Sudheer Varma. He shot to fame with 'Swamy Ra Ra' and 'Keshava' films, and will don the director cap for this remake. He'll be fine tuning the script to suit Telugu audiences taste. Nithiin for now is busy with Venky Kudumula directorial Bheeshma in which he is pairing up with actress Rashmika Mandanna.